Доктор медицинских наук, профессор, заведующий отделением патологии околощитовидных желез. Научный сотрудник отделения патологии околощитовидных желез. 1. Medvei VC. A history of endocrinology. Dordrecht: Springer; 1982. doi: 10.1007/978-94-009-7304-6. 2. Alibert JL. [Précis théorique et pratique sur les maladies de la peau. (In French).] Paris: Caille et Ravier; 1822. 317 p.
3. Rathke MH. [Entwicklungsgeschichte der Natter (Coluber natrix). (In German).] Königsberg: Bornträger; 1839. doi: 10.5962/bhl.title.5115. 4. Kalra S, Baruah MP, Sahay R, Sawhney K. The history of parathyroid endocrinology. Indian J Endocrinol Metab. 2013;17(2):320–322. doi: 10.4103/2230-8210.109703. 5. Cook M, Molto E, Anderson C. Possible case of hyperparathyroidism in a Roman period skeleton from the Dakhleh Oasis, Egypt, diagnosed using bone histomorphometry. Am J Phys Anthropol. 1988;75(1):23–30. doi: 10.1002/ajpa.1330750104. 6. Denninger HS. Osteitis fibrosa in a skeleton of a prehistoric American Indian. Arch Path. 1931;(11):939–947. 7. Макаров И.В. Гиперпаратиреоз. Учебно-методическое пособие для интернов, клинических ординаторов, врачей общей практики, эндокринологов и хирургов. — Самара: Офорт; 2014. — C. 4–7. 8. Adami S, Marcocci C, Gatti D. Epidemiology of primary hyperparathyroidism in Europe. J Bone Miner Res. 2002;17 Suppl 2:N18−23. 9. Greep RO. Parathyroid hormone. In: von Euler US, Heller H, editors. Comparative endocrinology. Vol. 1. New York: Academic Press; 1963. pp. 325–370. 10. Owen R. On the anatomy of the Indian rhinoceros. Trans Zool Soc Lond. 1862;4(2):31–58. 11. Taylor S. Hyperparathyroidism: retrospect and prospect. Ann R Coll Surg Engl. 1976;58(4):255–265. 12. 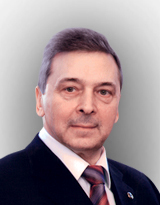 Черенько С.М. Первичный гиперпаратиреоз: основы патогенеза, диагностики и хирургического лечения. — Киев: Экспресс-полиграф; 2011. — C. 7–13. 13. Eknoyan G. A history of the parathyroid glands. Am J Kidney Dis. 1995;26(5):801–807. doi: 10.1016/0272-6386(95)90447-6. 14. Johansson H. The Uppsala anatomist Ivar Sandström and the parathyroid gland. Ups J Med Sci. 2015;120(2):72–77. doi: 10.3109/03009734.2015.1027426. 15. Sandström I. [On a new gland in man and fellow animals. (In Swedish).] Upsala Laekarefoeren Foerh. 1880;(15):441–471. 16. Clarke J. Commentaries on some of the most important diseases of children. Part 1. London: Longman & Co; 1815. pp. 86–97. 17. Corvisart FR. [De la contracture des extrémités ou tétanie. (In French).] Paris; 1852. 18. Trousseau A. [Clinique medicale de l’Hôtel–Dieu de Paris. (In French).] Paris: JB Bailliere et fils; 1861. pp. 112–114. 19. Kafetzis ID, Diamantopoulos A, Christakis I, Leoutsakos B. The history of the parathyroid glands. Hormones (Athens). 2011;10(1):80–84. doi: 10.14310/horm.2002.1297. 20. Organ CH Jr. The history of parathyroid surgery, 1850-1996: the Excelsior Surgical Society 1998 Edward D Churchill Lecture. J Am Coll Surg. 2000;191(3):284–299. doi: 10.1016/S1072-7515(00)00347-1. 21. Hackett DA, Kauffman GL Jr. Historical perspective of parathyroid disease. Otolaryngol Clin North Am. 2004;37(4):689–700. doi: 10.1016/j.otc.2004.02.003. 22. Krause W. [Die Anatomie des Kaninschens in topographischer und operativer Rücksicht. (In German).] 2nd ed. Leipzig : W Engelmann; 1884. 408 p.
23. Gley Е. [Sur les fonctions du corps thyroide. (In French).] Compt Rend de Soc de Biol. 1891;(43):841–847. 24. Vassale G, Generali F. [Sugli effeti dell’estirpazione delle ghiandole paratiroidee. (In Italian).] Riv Patol Nerv Ment. 1896;(1):95–99. 25. Toneto М. The history of the parathyroid surgery. Rev Col Bras Cir. 2016;43(3):214–222. doi: 10.1590/0100-69912016003003. 26. Munson PL. Parathyroid hormone and calcitonin. In: McCann SM, editor. Endocrinology. Book Series: People and ideas. New York: Springer; 1988. pp. 239–284. doi: 10.1007/978-1-4614-7436-4_10. 27. MacCallum W, Voegtlin C. On the relation of the parathyroid to calcium metabolism and the nature of tetany. Bull Johns Hopkins Hosp. 1908;19:91–92. 28. MacCallum W, Voegtlin C. On the relation of tetany to the parathyroid glands and to calcium metabolism. J Exp Med. 1909;11(1):118–851. 29. MacCallum W, Lambert R, Vogel K. The removal of calcium from the blood by dialysis in the study of tetany. J Exp Med. 1914;20(2):149–168. 30. MacCallum W. The physiology and the pathology of the parathyroid glands. Bull Johns Hopkins Hosp. 1905;(86):625–633. 31. von Recklinghausen FD. [Die fibröse oder deformierende Ostitis, die Osteomalacie und die osteoplastische Karzinose in ihren gegenseitigen Beziehungen. In: Festschrift fur Rudolf Virchow Reimer. (In German).] Berlin: 1891. pp. 1–89. 32. Levine MA. Primary hyperparathyroidism: 7000 years of progress. Cleve Clin J Med. 2005;72(12):1084−1092. 33. Erdheim J. [Uber die Dentinverkalkung in Nagezahn bei der Epithelkörerchen transplantation. (In German).] Frankfurt Z Path. 1911;7:295–342. 34. Schlagenhaufer F. [Zwei Fälle von Parathyroidea tumoren. (In German).] Wien Klin Wschr. 1915;28:1362. 35. Albright F, Aub JC, Bauer W. Hyperparathyroidism: A common and polymorphic condition as illustrated by seventeen proved cases from one clinic. J Am Med Assoc. 1934;102(16):1276–1287. doi: 10.1001/jama.1934.02750160010003. 36. Albright F, Bloomberg E, Castleman B, et al. Hyperparathyroidism due to diffuse hyperplasia of all parathyroid glands rather than adenoma of one. Arch Intern Med (Chic). 1934;54(3):315–329. doi: 10.1001/archinte.1934.00160150002001. 37. The parathyroid glands and metabolic bone disease. Selected studies. Fuller Albright, A.B., M.D., and Edward C. Reifenstein, Jr., A.B., M.D., F.A.C.P. Baltimore, Williams and Wilkins Company, 1948. $8.00 (Book review). JBJS. 1949;31(4):881–882. 38. Underdahl LO, Woolner LB, Black BM. Multiple endocrine adenomas; report of 8 cases in which the parathyroids, pituitary and pancreatic islets were involved. J Clin Endocrinol Metab. 1953;13(1):20–47. doi: 10.1210/jcem-13-1-20. 39. Wermer P. Genetic aspects of adenomatosis of endocrine glands. Am J Med. 1954;16(3):363–371. doi: 10.1016/0002-9343(54)90353-8. 40. Sipple JH. The association of pheochromocytoma with carcinoma of the thyroid gland. Am J Med. 1961;31(1):163–166. doi: 10.1016/0002-9343(61)90234-0. 41. Manning P, Molnar G, Black B, et al. Phaeochromocytoma, hyperparathyroidism and thyroid carcinoma occurring coincidentally. New Engl J Med. 1963;268(2):68–72. doi: 10.1056/nejm196301102680202. 42. Mandl F. [Therapeutischer Versuch bei Ostitis fibrosa generalisata mittels Extirpation eines Epithelkörperchentumors. (In German).] Wien Klin Wschr. 1925;38:1343–1344. 43. Collip JB. The extraction of a parathyroid hormone which will prevent or control parathyroid tetany and which regulates the levels of blood calcium. J Biol Chem. 1925;63:395–438. 44. Niederle BE, Schmidt G, Organ CH, Niederle B. Albert J and his surgeon: a historical reevaluation of the first parathyroidectomy. J Am Coll Surg. 2006;202(1):181–190. doi: 10.1016/j.jamcollsurg.2005.03.036. 45. Albright F. A page out of the history of hyperparathyroidism. J Clin Endocrinol Metab. 1948;8(8):637–657. doi: 10.1210/jcem-8-8-637. 46. Cope O. The study of hyperparathyroidism at the Massachusetts General Hospital. N Engl J Med. 1966;274(21):1174–1182. doi: 10.1056/NEJM196605262742105. 47. Tibblin S, Bondeson AG, Ljungberg O. Unilateral parathyroidectomy in hyperparathyroidism due to single adenoma. Ann Surg. 1982;195(3):245−252. 48. Hanson АM. An elementary chemical study of the parathyroid glands of cattle. Mil Surg. 1923;53:280–284. 49. Li A. J. B. Collip, A. M. Hanson and the isolation of the parathyroid hormone, or endocrines and enterprise. J Hist Med Allied Sci. 1992;47(4):405–438. doi: 10.1093/jhmas/47.4.405. 50. Brewer HBJ, Ronan R. Bovine parathyroid hormone: amino acid sequence. Proc Natl Acad Sci U S A. 1970;67(4):1862–1869. doi: 10.1073/pnas.67.4.1862. 51. Brewer HBJ, Fairwell T, Ronan R, et al. Human parathyroid hormone: amino-acid sequence of the amino-terminal residues. Proc Natl Acad Sci U S A. 1972;69(12):3585–3588. doi: 10.1073/pnas.69.12.3585. 52. Niall HD, Sauer RT, Jacobs JW, et al. The amino-acid sequence of the amino-terminal 37 residues of human parathyroid hormone. Proc Natl Acad Sci U S A. 1974;71(2):384–388. doi: 10.1073/pnas.71.2.384. 53. Keutmann HT, Barling PM, Hendy GN, et al. Isolation of human parathyroid hormone. Biochemistry. 1974;13(8):1646–1652. doi: 10.1021/bi00705a014. 54. Potts JT Jr, Keutmann HT, Niall HD, Tregear GW. The chemistry of parathyroid hormone and the calcitonins. Vitam Horm. 1971;29:41–93. doi: 10.1016/s0083-6729(08)60047-3. 55. Tregear GW, van Rietschoten J, Greene E, et al. Solid-phase synthesis of the biologically active N-terminal 1 – 34 peptide of human parathyroid hormone. Hoppe Seylers Z Physiol Chem. 1974;355(4):415–421. doi: 10.1515/bchm2.1974.355.1.415. 56. Potts JT. Parathyroid hormone: past and present. J Endocrinol. 2005;187(3):311–325. doi: 10.1677/joe.1.06057. 57. Greenwald I. The effect of parathyroidectomy upon metabolism. Am J Physiol. 1911;28(2):103–132. doi: 10.1152/ajplegacy.1911.28.2.103. 58. Barnicot NA. The local action of the parathyroid and other tissues on bone in intracerebral grafts. J Anat. 1948;82(Pt 4):233–248. 59. Agus ZS, Gardner LB, Beck LH, Goldberg M. Effect of parathormone on renal tubular reabsorption of phosphate and calcium. Am J Physiol. 1973;224(5):1143–1148. doi: 10.1152/ajplegacy.1973.224.5.1143. 60. Talmage RV, Elliott JR. Removal of calcium from bone as influenced by the parathyroids. Endocrinology. 1958;62(6):717–722. doi: 10.1210/endo-62-6-717. 61. Copp DH, Cameron EC, Cheney BA, et al. Evidence for calcitonin — a new hormone from the parathyroid that lowers blood calcium. Endocrinology. 1962;70(5):638–649. doi: 10.1210/endo-70-5-638. 62. Berson SA, Yalow RS, Aurbach GD, Potts JT. Immunoassay of bovine and human parathyroid hormone. Proc Natl Acad Sci U S A. 1963;49(5):613–617. doi: 10.1073/pnas.49.5.613. 63. nobelprize.org [Internet]. The Nobel Prize in Physiology and Medicine 1977. Rosalyn Yalow [cited 2019 Jan 10]. Available from: http://www.nobelprize.org/nobel_prizes/medicine/laureates/1977/yalow-facts.html.